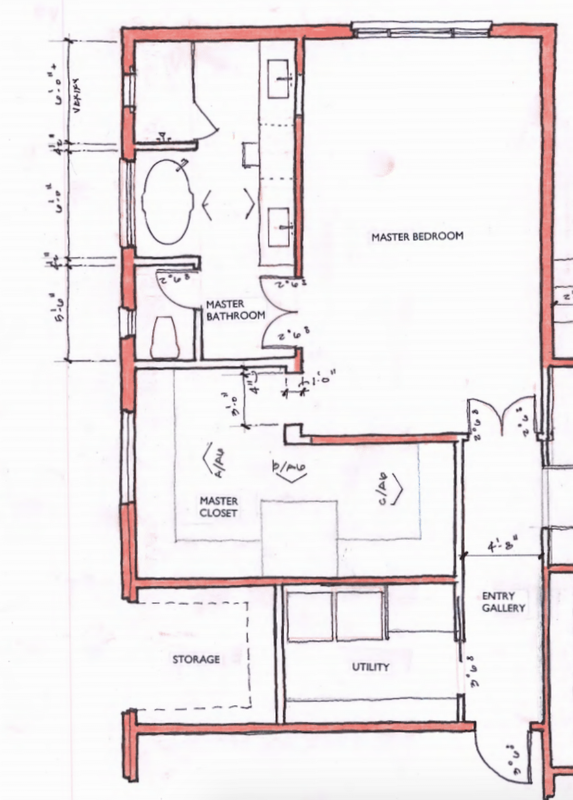 If there is any area in my house that I'm most excited to redesign, it has to be our master suite! The master bedroom is located on the ground floor, so it was just as flooded as the rest of the house after Hurricane Harvey. The damage gave me a chance to rethink how this space is laid out, and to make some significant changes. We originally had a master study - a space we didn't really use that often. So, as you can see above, we're removing that to make way for a larger bathroom and an amazing closet. The master bathroom is going to be an oasis! I want to include as many spa-like details as I can. 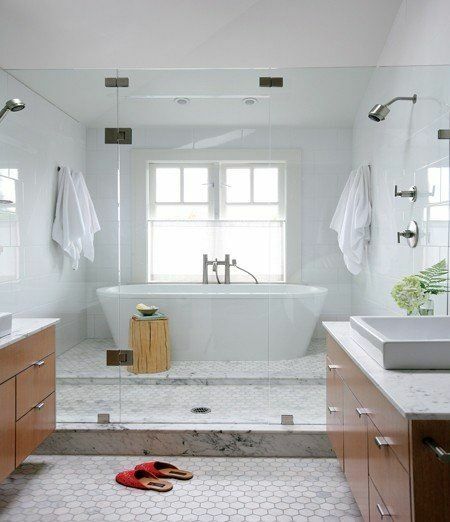 One thing I would really love to have is one of the glass-enclosed "wet rooms" that includes both the tub and the shower, like the one below. I'm just not sure we have the room! In the closet, I plan to add a lot of custom cabinetry to create a true dressing room, as you can see in the sketch below. I have always loved the closet Nate Berkus designed for his own home, and we're definitely using it for inspiration! And if you've been following me on social media like Facebook, you know that I LOVE wallpaper. In fact, I post some of my favorite patterns every Wednesday. 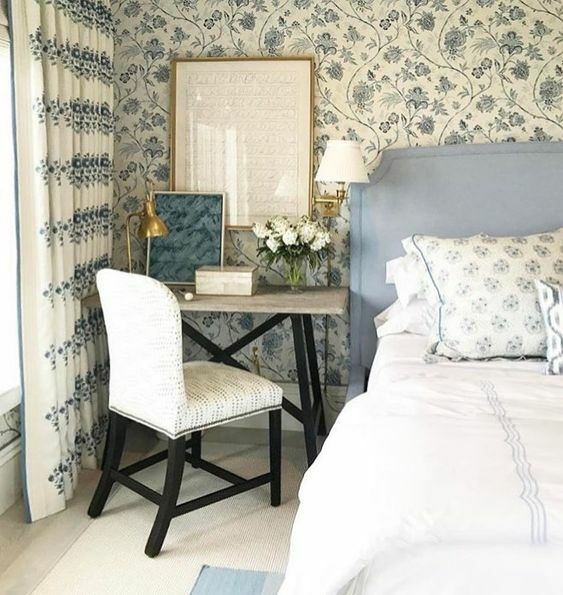 So I'm definitely thinking about a gorgeous wallpaper for the bedroom, maybe like the one below.